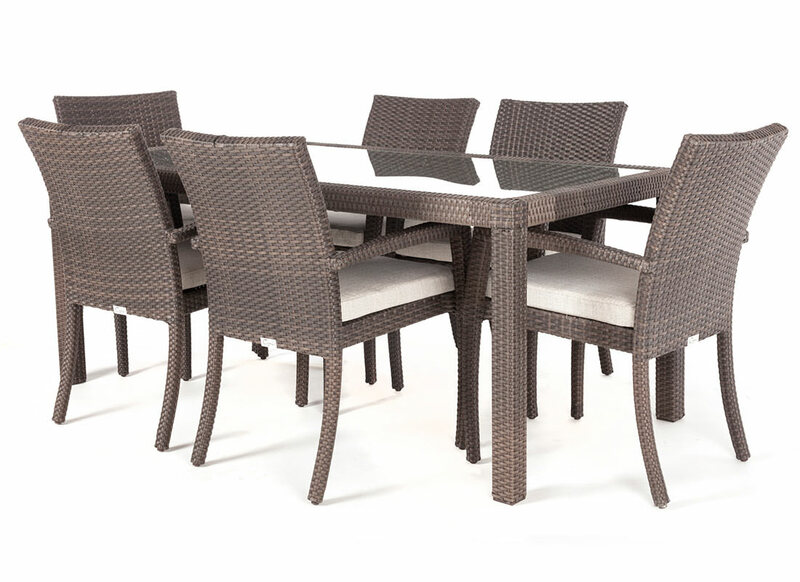 Modern wicker style glass surface dining table seats 6 or 8 people in comfort and elegance. 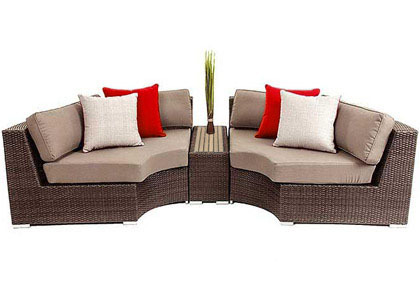 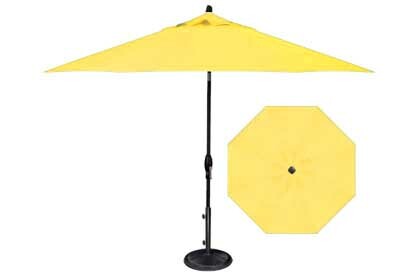 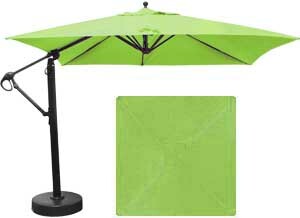 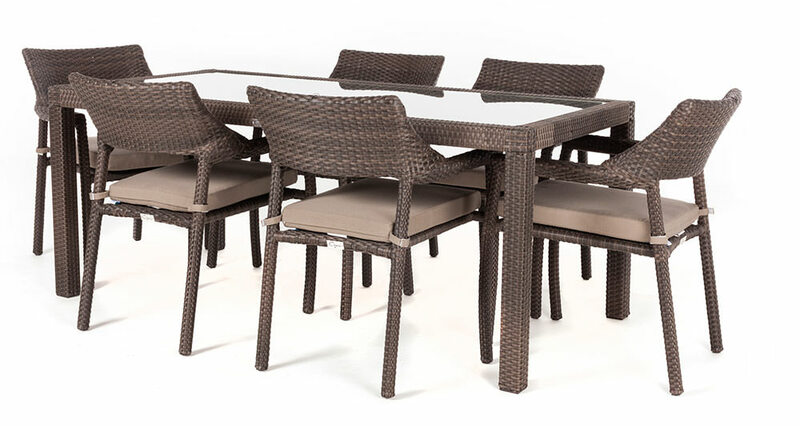 This Ciro outdoor patio dining table can seat 6 or 8 depending on the chair model. 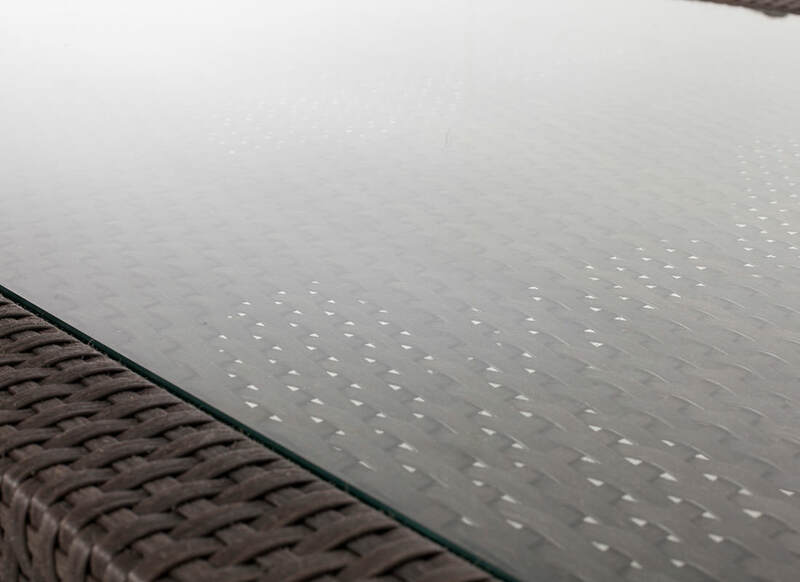 With room for 6 or 8, Ogni’s tempered glass top outdoor dining table is made from durable aluminum and 7 mm thick High Density Polyethylene fibres. 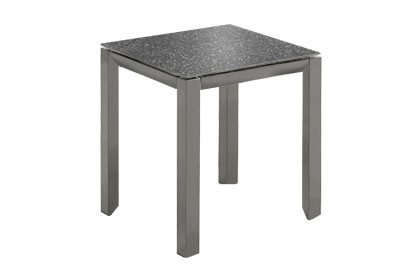 With a rustproof, powder coated aluminum frame and weather-resistant HDPE fibres, this table can be used year long without rusting or fading. 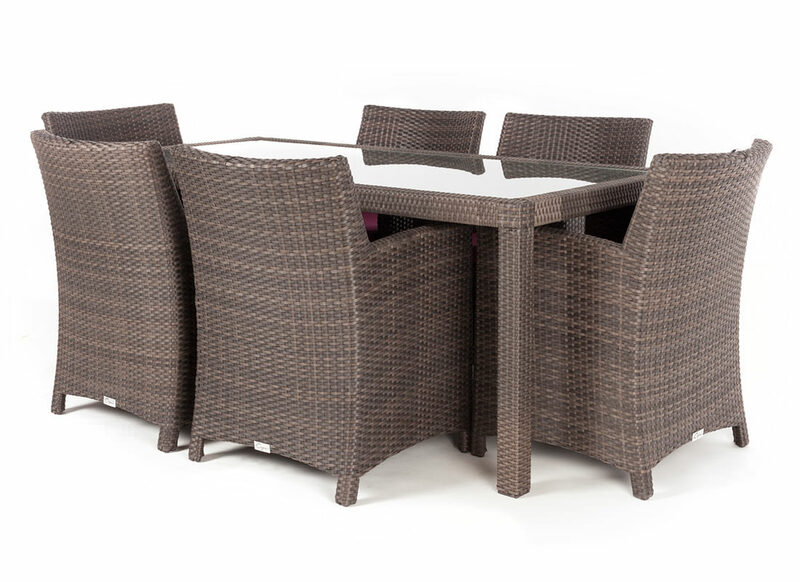 The table and chairs are sold separately. 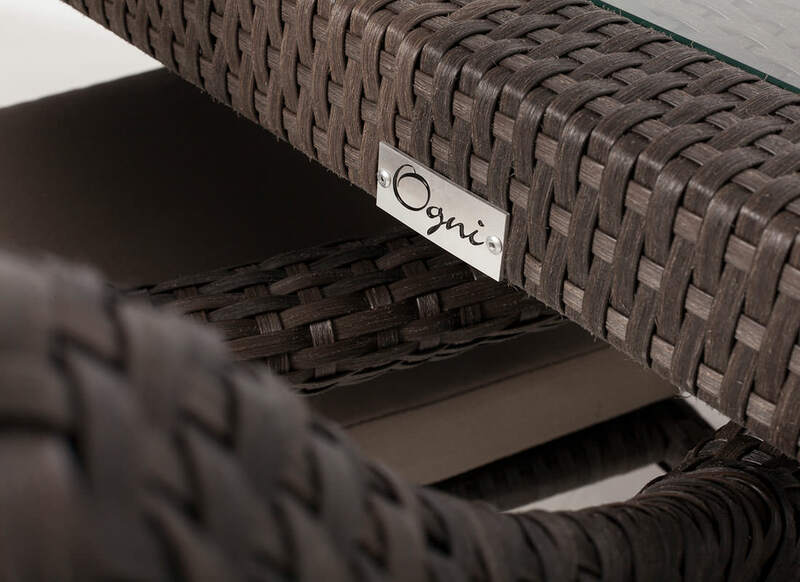 Select from one of our four chair styles to best suit your tastes and budget. 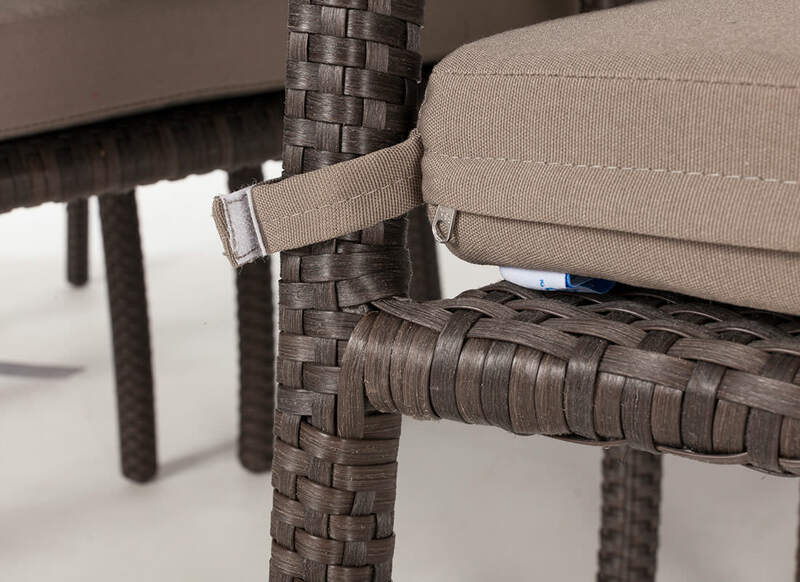 The standard stock cushion colour available is taupe (other colours are available with added cost based on the material type and availability). 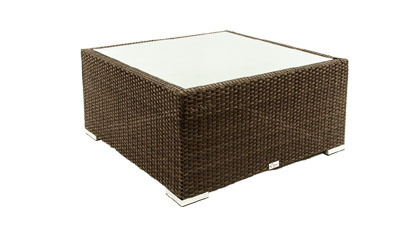 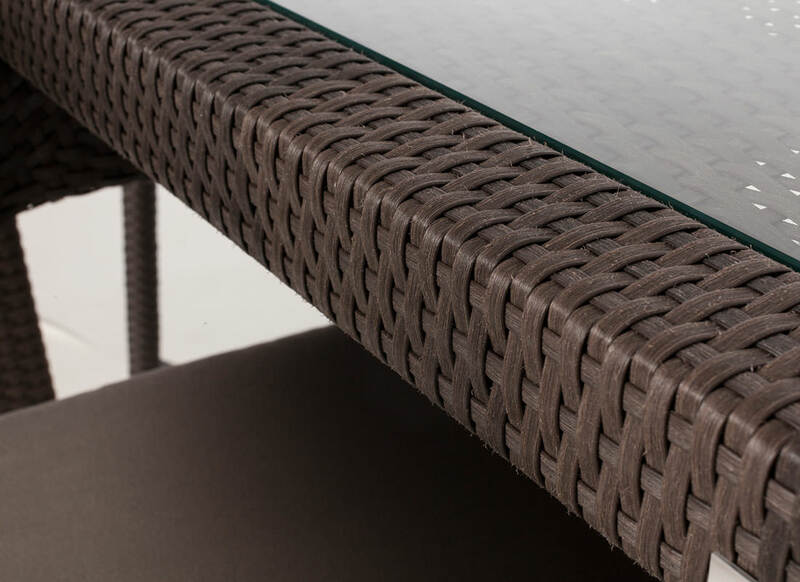 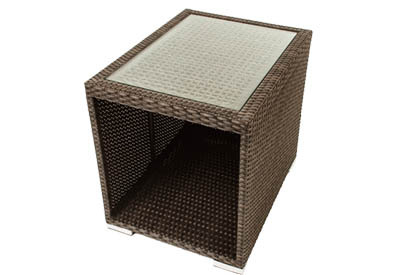 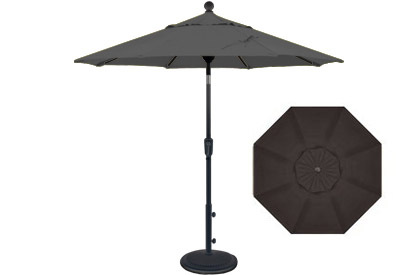 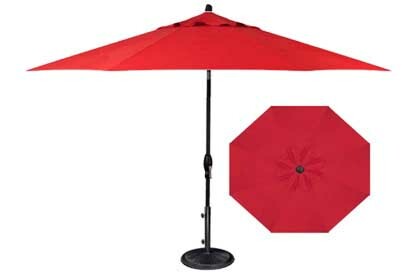 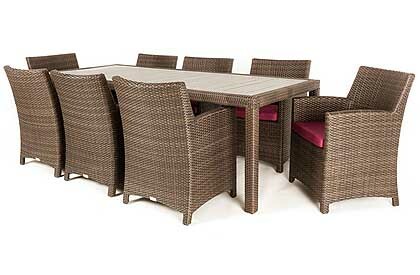 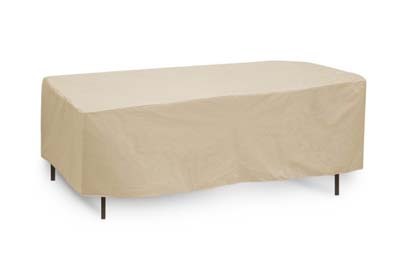 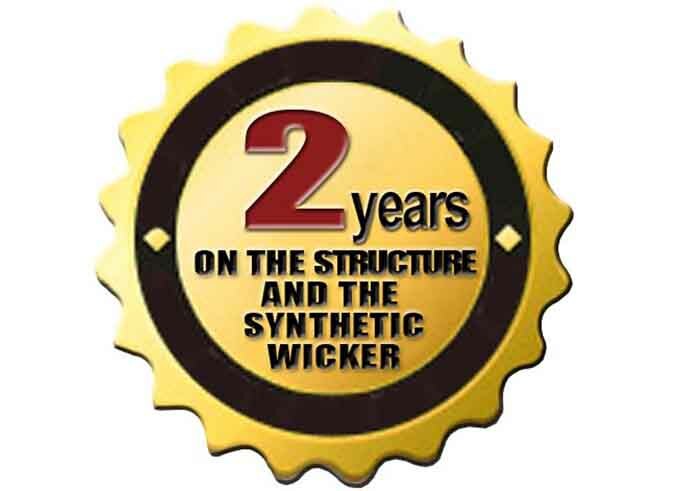 This quality outdoor dining table includes a 2 year warranty on the structure and the synthetic wicker.